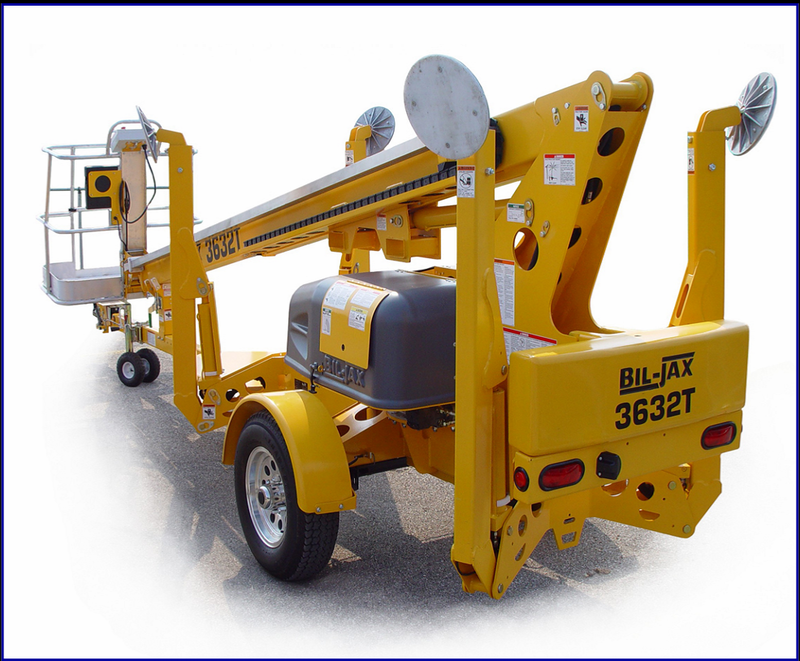 This lift features hydraulic outriggers which allow quick and easy setup. Proportional controls on this lift allow for smooth operation. Advantage: The 3632T offers a hydraulic jib for greater range of motion and the hydraulic basket rotation is used for precise overhead positioning, giving the operator access to a greater work area. A large 450 lb. capacity cage and 110v outlet at the platform come standard on the 3632T. Also provided is a safety harness/lanyard and free backing brakes. This lift is light weight, allowing it to be towed by a variety of vehicles and easily maneuvered at the jobsite. This lift will even fit through double doors for indoor applications. We are happy to answer any questions you may have. Call us today to check our inventory and to reserve your equipment today.